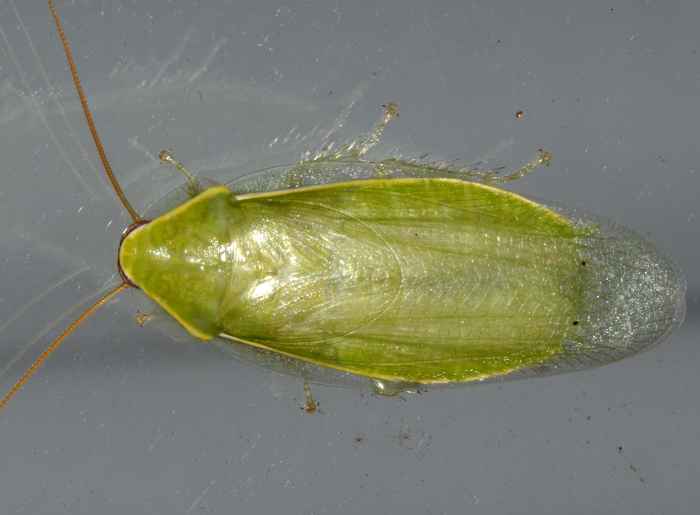 Panchlora nivea (Green Banana Cockroach). Size: approx. 30 mm. Photo: 08/10/12, 10 pm. I had never seen a green cockroach before! 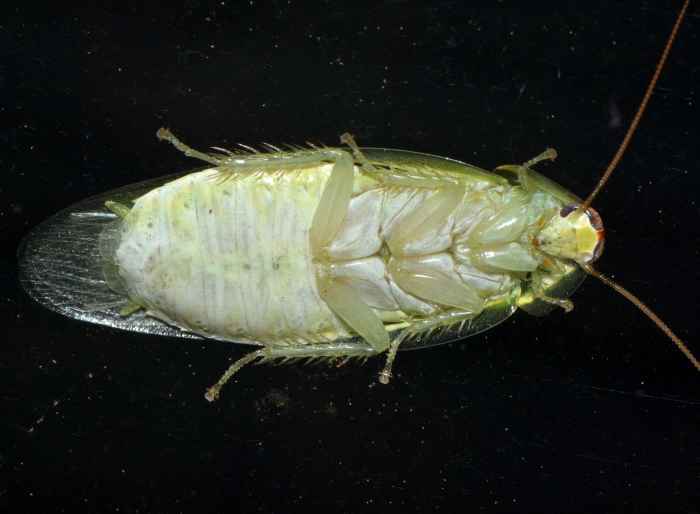 This is Panchlora nivea (Green Banana Cockroach, also known as Cuban Cockroach). Their are acitve at night and seem to be attracted to light. They do not breed indoors and are native to Cuba where they are presumably found on bananas. Please have a look at the left, small photo (click to enlarge). It shows a great view of the roach's bottom side.